Craig Simpson is an award-winning writer of YA fiction, published by Penguin-Random House (Imprints: Corgi & The Bodley Head), Hachette children’s books (Imprint: Franklin Watts EDGE) and Alsvith Books. 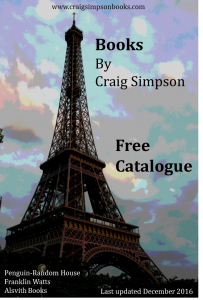 Craig has twelve published titles to date, and is currently working on a brand new novel (for adults). He is the past winner of the Hampshire Book Award and has been shortlisted for a number of other prestigious awards, including the Branford-Boase Award (best debut novel), the Lancashire Book Award, and most recently the Young Quills Award (2016). He lives and works in Hampshire, England. Craig also provides advice and editorial guidance to other writers (published and unpublished) as a freelance editorial consultant, including with Cornerstones literary consultancy (see ‘Events page’ for more information). People often ask me about my books and so I hope you find the following information of interest. Together with the set of FAQs, hopefully it answers your most burning questions. 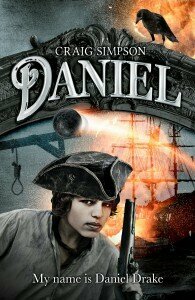 In my latest book, Daniel, I wanted to tell a traditional swashbuckling tale of courage in a style today’s young readers will find easy to read. Full of atmosphere, it is set in both south Devon and among the dark and dangerous streets and canals of Amsterdam. The historical backdrop and timescale is that of England in 1688, in the months leading up to the start of the Glorious Revolution, a turbulent era that changed England for ever. My protagonist, 14 year old Daniel Drake, is shocked when his mother is suddenly arrested for treason. He knows nothing of her secret work spying for the Dutch prince. She will hang, too, unless Daniel can save her from the gallows. And so the adventure begins….. one I hope can be read on several levels. At its simplest it is an all-action story that will have the reader on the edge of their seat. Look a little deeper, though, and the reader will see that all the characters have their own reasons and motives for getting involved in the revolution – for power, wealth, control, and even seeking justice. 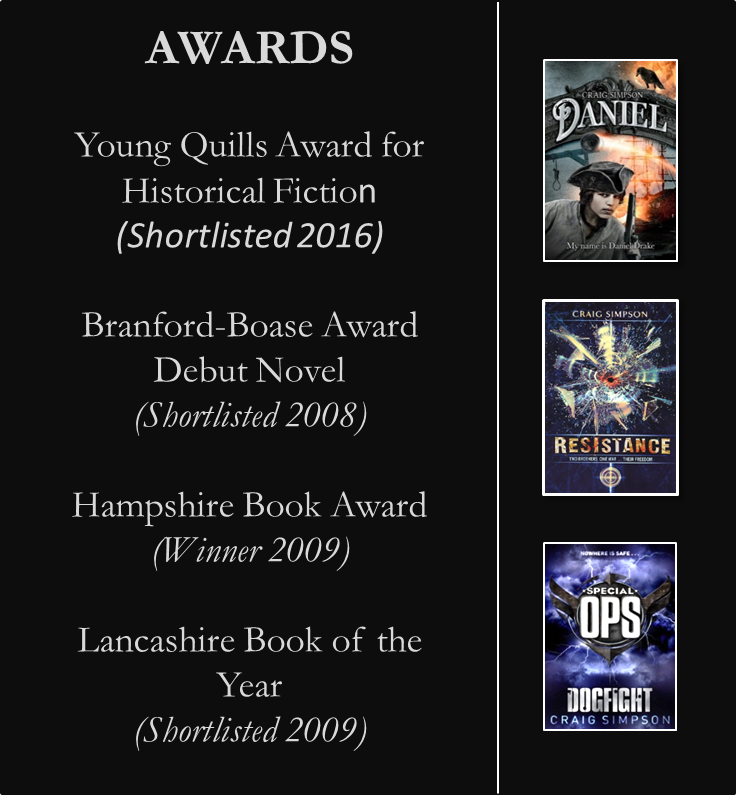 Daniel was shortlisted for the Young Quills Award 2016. 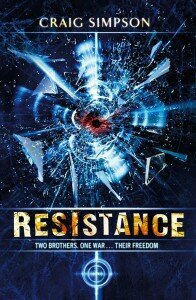 “Resistance” was my first published novel in 2007. It was the result of a great deal of research into life in occupied Norway during WWII, and the dilemmas faced by those willing to risk their lives in the name of freedom. It is both an adventure and thriller. It was shortlisted for the Branford-Boase Award (best debut novel). The story’s hero, a young boy called Marek Olsen, faces many challenges and needs to dig deep to find the courage to prevail when his life is turned upside down. Like many children in wartime, Marek has to grow up fast. It is a coming of age story in an extremely dangerous world, one where the decision to resist the occupation has profound consequences. The themes are powerful and thought-provoking. When I sat down to write the book I simply had a story I wanted to tell and, although published by Corgi as a Children’s/YA title, I didn’t specifically set out to write a children’s book. Thankfully, many grown-ups love it too. It is what we call a ‘cross-over’ title and is suitable for a wide age range. So, if you are a parent or grandparent visiting my website, then please don’t think my books are just for kids – they aren’t. Give it a go! Without giving too much away, the book has quite a twist to the ending. Can you guess who the traitor is? The clues are there! In 2008 the first in my highly acclaimed Special Operations Series, Dogfight was published. It subsequently won the Hampshire Book Award and was shortlisted for a number of others prizes, including the long-running prestigious Lancashire Children’s Book Award. As with other titles in the series, it has received many rave reviews in both local and national press. One described Dogfight as “excruciatingly exciting” – which is exactly what I set out to achieve. It has proved my most popular book to date. 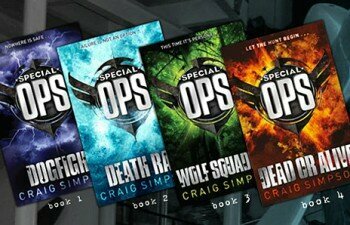 There are four thrilling Special Operations titles in the series to collect. My main characters, Finn Gunnersen, Loki Larson, and Freya Haukelid, were all drawn from what I’ve learnt about real wartime secret agents. The action and suspense is often jaw-dropping, and although the reader might be astounded at what my young heroes get up to, in many cases I have found examples of brave young men and women who did exactly the same things for real! As well as writing full length novels, I have also teamed up with publishers Franklin Watts (Hachette Children’s Books) to write a number of illustrated short reads in their ever popular EDGE series of books. These are terrific for Accelerated Reader programmes run in many schools, or those just wanting a quick read. Titles include the WWII stories, Run, Spy, Run! about a secret agent fleeing occupied France using the escape lines across the Pyrenees into Spain, and Bridge of Death, a re-telling of the Pegasus bridge D-Day glider landings. Details of all the EDGE titles can be found in my latest catalogue, available free to download – see right hand column. All my books are available from bookshops, and are also all available as eBooks. My publishers are Penguin Random House (Corgi), Hachette Children’s Books (EDGE – Franklin Watts) and Alsvith Books.